ANGELINE “ANGIE” ELIZABETH WILLERS, age 87, died Sunday, June 17, 2018, at home, Bethany Meadows, Brandon, SD. She was born October 7, 1930, in rural Pipestone, MN to Henry and Anna (Kirpes) Deitermann. 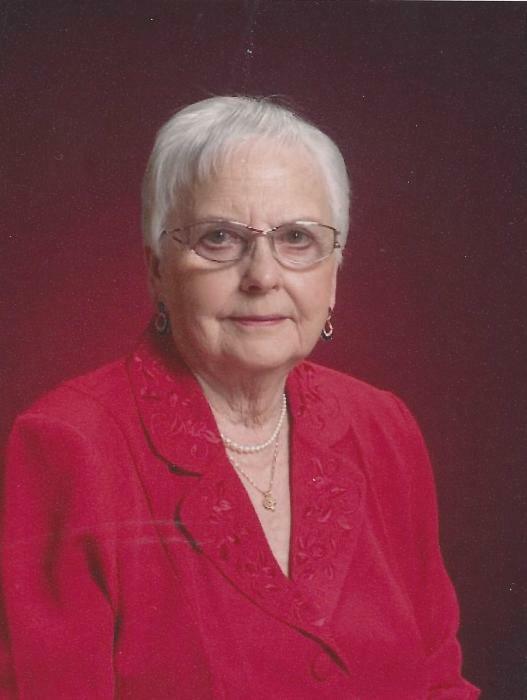 She attended District #16 country school near Beaver Creek and graduated from Luverne High School in 1948. Upon graduation, Angie worked for George Butler, DDS, in Luverne. Angie and Burdell Willers were married September 7, 1949, at St. Catherine Catholic Church in Luverne. The couple moved to the family farm near Beaver Creek where they lived for the next 45 years. After retiring from farming, they lived in Beaver Creek and Sioux Falls. She was an active member of St. Catherine Catholic Church for seventy-three years serving the church in many different capacities. Angie was active in the community as a 4-H Leader, Hospice Foundation Board member and volunteer for thirteen years. After moving to Sioux Falls, she enjoyed establishing new friendships at Holy Spirit Catholic Church and the Avera Fitness therapy pool. Angie and Burdell took many trips domestically and abroad. The highlights included trips to visit her daughter and family while they were stationed in Germany. A strong family bond was important to Angie and she loved being surrounded by her children, grandchildren and great grandchildren. Angie is survived by her husband, Burdell Willers, Brandon, SD; nine children, James (Jill) Willers, Luverne; Steven (Nancy) Willers, Fairmont; David (Cheryl) Willers, Beaver Creek; Robert (Annetta) Willers, Brooklyn Park; Theresa (Dale) Hoogeveen, Carver; Bryan (Denise) Willers, Elkhorn, NE; Lisa (Roger) Hoff, Steen; Mary (Roger) Turner, Vermillion, SD; and Jeffrey (Lana) Willers, Waunakee, WI; twenty seven grandchildren; twenty two great-grandchildren (with three on the way); and two sisters, Martha Steinhoff, Sioux Falls, SD; and Lillian (Allen) Willers, Luverne. She was preceded in death by her parents; a brother, Cyril Deitermann; and four sisters, Valeria Beelman, Eleanora Herman, Esther Ahrendt and Junella Van Belle. Visitation will be from 4-7 pm Thursday, with parish prayers at 7 pm, at the Dingmann Funeral Home in Luverne. Visitation also one hour prior to the service at the church on Friday. Funeral Mass will be 10:30 am Friday at St. Catherine Catholic Church, in Luverne, officiated by Father Thomas Jennings. Burial will be in the St. Catherine Cemetery.